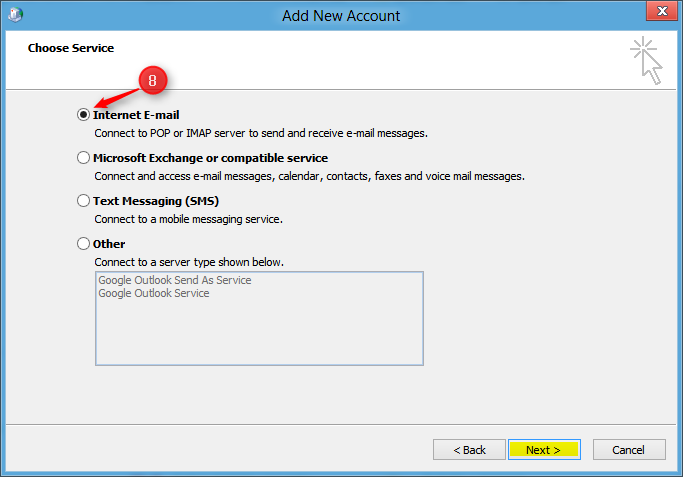 On the other hand, in POP(Post Office Protocol), your mail client account and mail server are not synced. 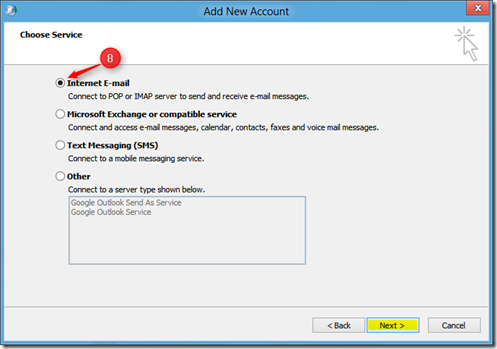 It means whatever changes you make to your email account in the mail client will not be transferred to the webmail inbox. In simple terms, if you are using IMAP and mark a mail as read, it gets marked as read in your web based inbox too (because the changes are happening on the server). 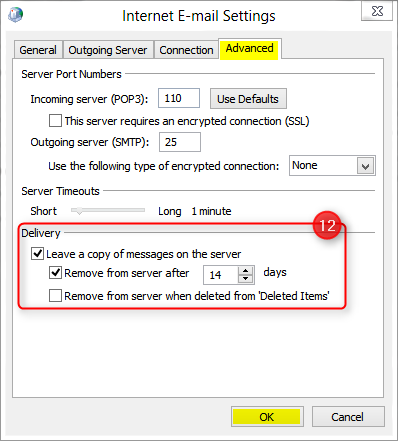 However, this won’t be the case if you are using POP, because the mails are downloaded to your PC and the changes won’t reflect on the server. 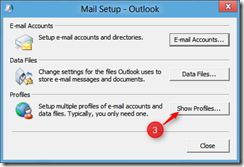 Go to your Outlook mail settings from Start > Control Panel > Mail. 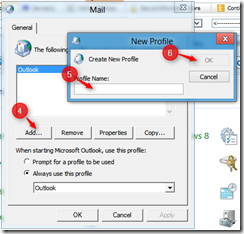 If you cannot locate the Mail icon within your Windows Control Panel, try the following steps. Click the Show Profiles button and click Add for a new profile. 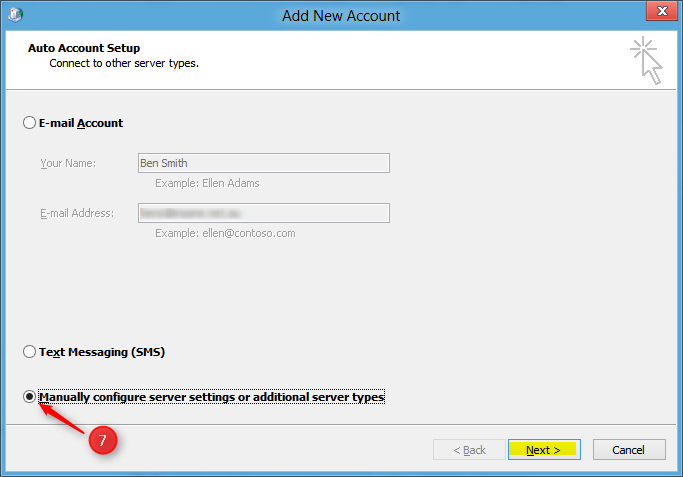 Ignore the Auto Account Setup Page, select the checkbox next to Manually configure server settings or additional server types and click Next. Your Name: This should be your full name. 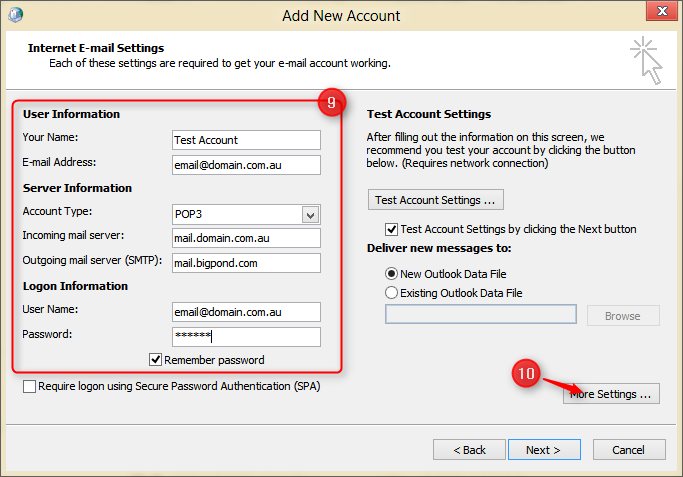 Account Type: select either POP3 or IMAP. 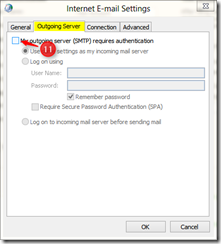 Password: Password for your POP/IMAP mailbox. 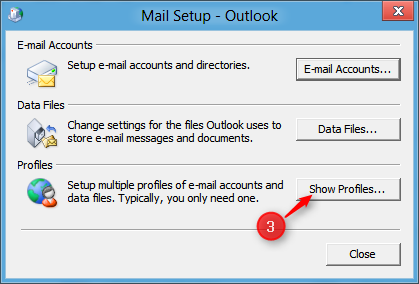 New Outlook Data File: If you choose this option, a new PST file will be created. You will see it in the folder tree. 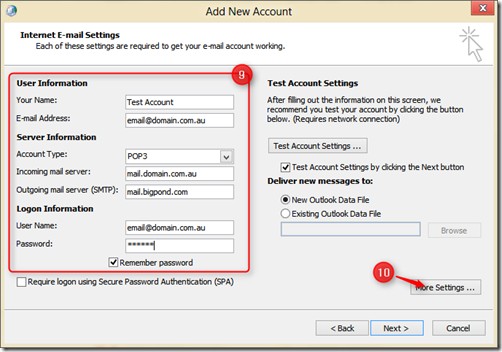 Existing Outlook Data File: Choose this option if you want to place messages in the existing PST file. 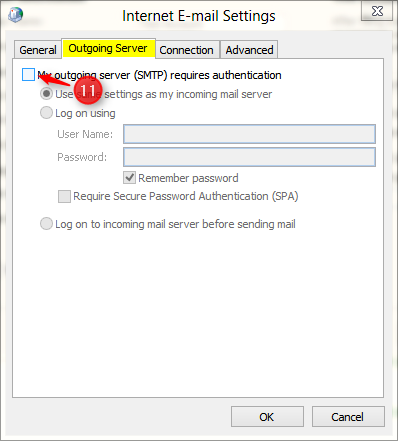 Switch to the Outgoing Server tab check the box next to My Outgoing server (SMTP) requires authentication is un ticked. Switch to the Advanced tab. 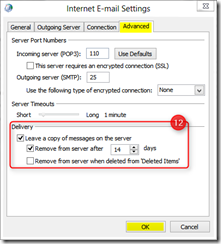 For POP3 connection you may want to select an option to Leave a copy of messages on the server. 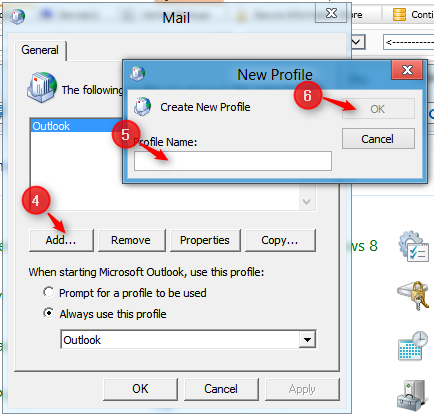 If you are expecting a large volume of email you might want to minimise the number of days. Click OK.
Click OK, click Next and Finish to complete setup. 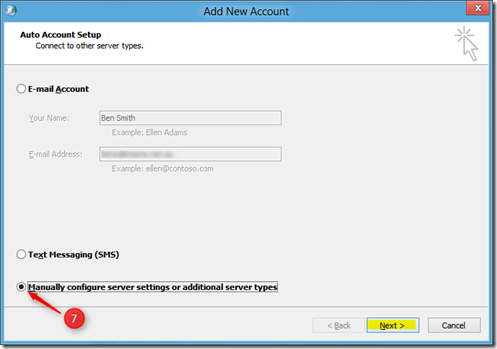 If you require more assistance please contact your system administrator and/or your hosting provider.